We are Rail Media and our ‘thing’ is to create opportunities to connect. We want to help - whether it’s connecting you to industry news, connecting you with like minded professionals or finding that ideal candidate for a role within your company. We even keep you connected with the newest developments and projects within the industry, whether it be through one of our magazines or attending one of our many events. ...focuses on the people within the rail industry and covers all of the lovely, positive stories. It includes regular monthly features that our 175,000 readers love - these include safety, training, tech and gear (amongst others)! Distributed to stations, depots and academies up and down the country, RailStaff can often be seen on the desks of offices such as Network Rail, Bombardier and Interfleet. ...is written by engineers, for engineers. Our engineer writers visit factories, stations and depots all around the UK and meet with specialist engineers bringing our readers the latest projects and developments. As if this isn’t enough, we also bring you all of the latest updates on all aspects of rolling stock, whether onboard technology or mechanical enhancements focussing on safety, energy and the passenger experience. ...provides daily updates about the global rail industry; from the awarding of multi-million euro train orders to the completion of major infrastructure projects. Through a weekly newsletter, we provide news and analysis directly to thousands of subscribers. ...has a growing database and excellent long term relationships with our lovely existing clients. Alongside this, Railway People offers a wealth of fantastic advertising options allowing you to maximise your marketing spend! As all great recruiters are aware, it is attracting the right candidate for your role that is important so we offer a range of helpful bundles to help you do just that. ...offers a place for the Global Rail Industry to advertise its non UK Rail vacancies. The RailStaff Awards is all about the individuals and recognises the great achievements of so many people who work on the railway. This awards ceremony focuses on saying a big fat Thank You to spectacular people. Whether you’ve saved a life, managed a huge scale project or just done your job darn well this year - this event is a celebration of the great work so many individuals undertake each day, from drivers to cleaners, engineers to station staff. Often these are stories of lives saved, careers turned around and adversity conquered. This recognition of our people in the national RailStaff Awards is the event of the year and next year we have our 10th anniversary. Network Rail is working in partnership with Rail Media to recognise organisations which are helping to deliver a better railway for a better Britain. 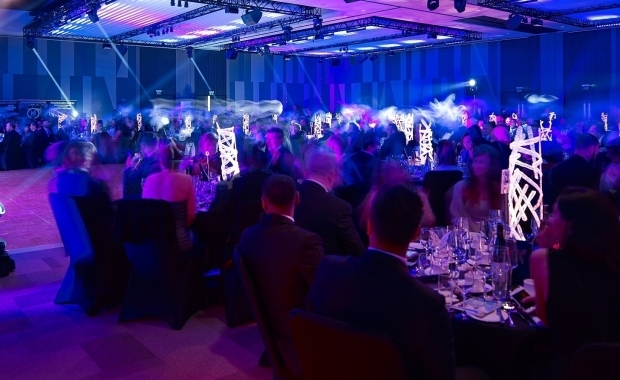 The 2018 Rail Partnership Awards are bringing together the supply chain to celebrate the very best of 2017’s achievements in the rail industry. There are 14 awards open for nominations and only the winners from those awards will be eligible for consideration for the coveted Supplier of the Year Award. Judges will give this award to the organisation that has demonstrated excellence and best practice in all work areas. Network Rail Key Performance Indicators measured throughout the year will be taken into account, where appropriate, in making the decision. ...as the rail industry moves into a more digital world, now is the time to understand how rail businesses can benefit from the BIM and Asset Management relationship. ...following on from the success of the Digital Rail Summits, the Rail Technology Summit will look at how the use of innovative technology in rail is bringing about a revolution in efficiency and reliability. ...provides that unique opportunity for rail safety professionals to gather and network. Not only this, but learn about new developments in safety and security from leading industry figures, all whilst enjoying a delicious buffet lunch! The Rail Procurement Roadshows are a series of UK conferences and workshops. They are a great way to learn the best way to procure new contracts in the rail sector. There is a vast opportunity for suppliers to secure new contracts across both the existing network as well as within new large-scale infrastructure projects. Rail Media have partnered with PlantWorx, the UK’s event for the construction equipment and services industry, to bring add a dedicated Rail Infrastructure section to the event, called RailWorx. The three day 2017 PlantWorx event attracted 395 Construction Industry exhibitors and over 14,000 visitors. The Rolling Stock Expo brings the rolling stock supply chain together to showcase leading innovations in the sector. Since the early 1990s, RailSport has been encouraging railway staff to reignite their long-held hopes of sporting glory and compete to be crowned the industry’s best. The RailSport Games tournament, which since its opening weekend has welcomed thousands of competitors from across the rail industry, was established by the British Rail Staff Association and continues to this day with the help of many great volunteers. 2017 is the first RailSport Games organised by Rail Media. We're working hard on making this the best weekend of sport and fun you can have. So we've moved the venue from Blackpool to Loughborough University; increased the numbers of sports available; and added loads of entertainment. We want the weekend to be a party!